Santa Monica. The Tongva Park. – Big Cities. Bright Lights. Tongva Park is a newly built park in Downtown Santa Monica, close to the beach, the Santa Monica Pier, 3rd Street Promenade and Santa Monica Place. Named for the Tongva people who have lived in the Los Angeles area for thousands of years, the park provides lawns and walkways, picnic tables, fountains, playgounds and futuristic lookouts. 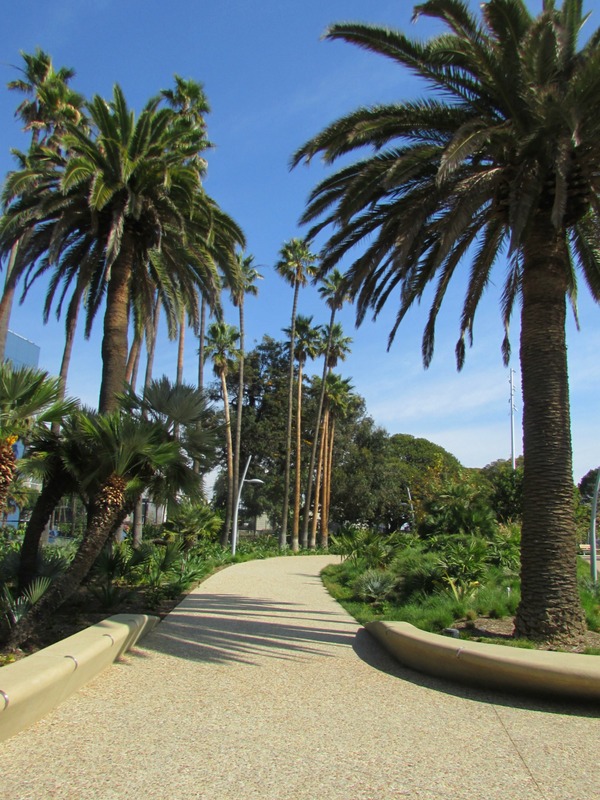 It opened in late summer 2013 and covers an area of over six acres between Ocean Avenue and City Hall. ← Florida. Loxahatchee. On the Cypress Swamp Boardwalk.